Estimated based on initial lease payment of $10.48 plus 60 weekly lease payments, not including sales tax or any optional delivery, warranty, or liability damage waiver (LDW) fees. 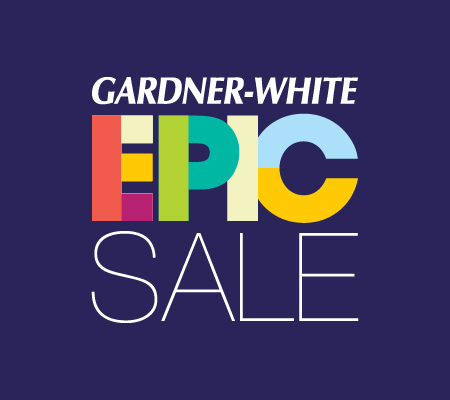 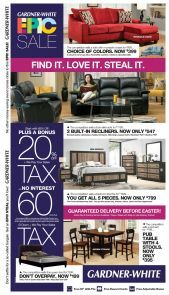 Unless you exercise your early purchase option, your total cost of ownership will be $628.80, not including tax or any optional delivery, warranty, or LDW fees. 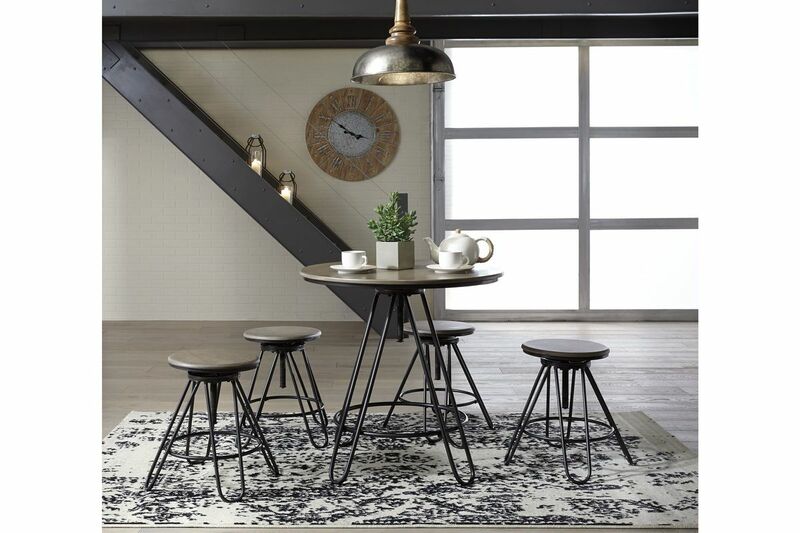 Looking to bring high style to a tight space? 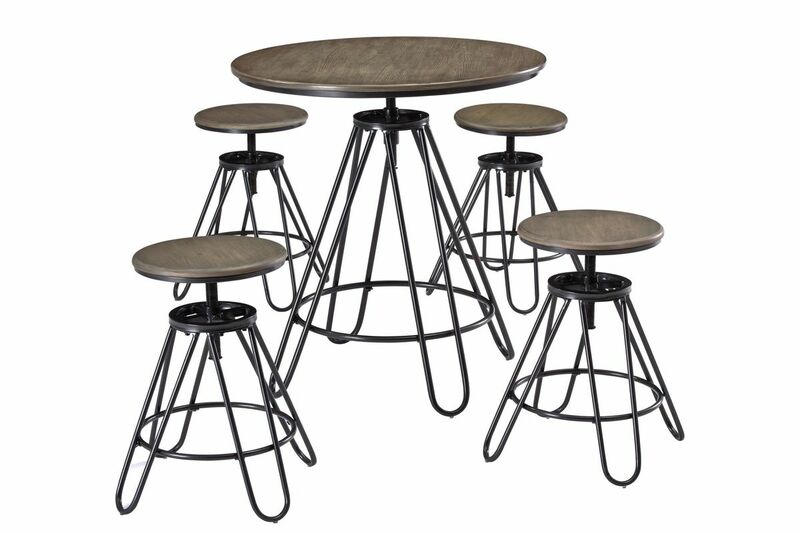 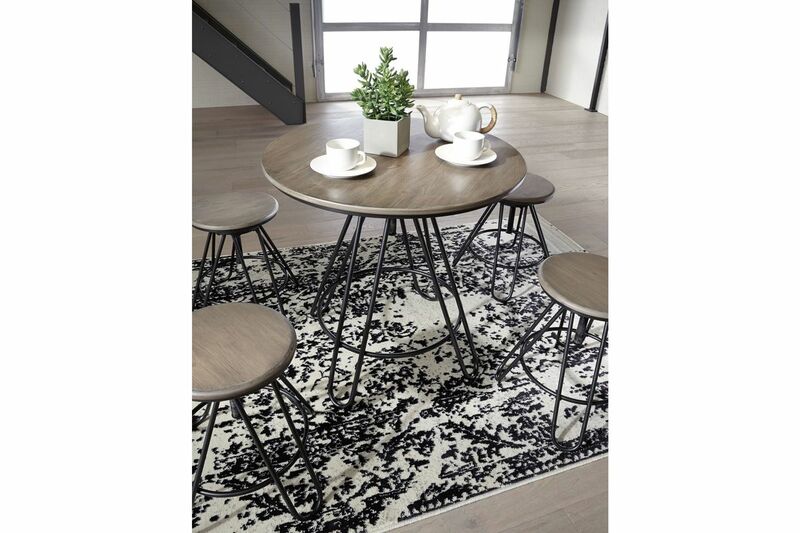 This round dining table set serves your needs beautifully, with a dash of industrial flair. 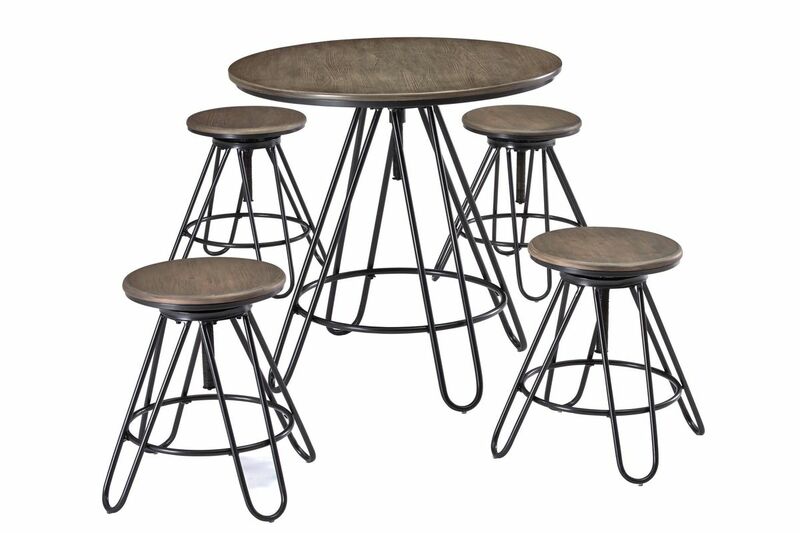 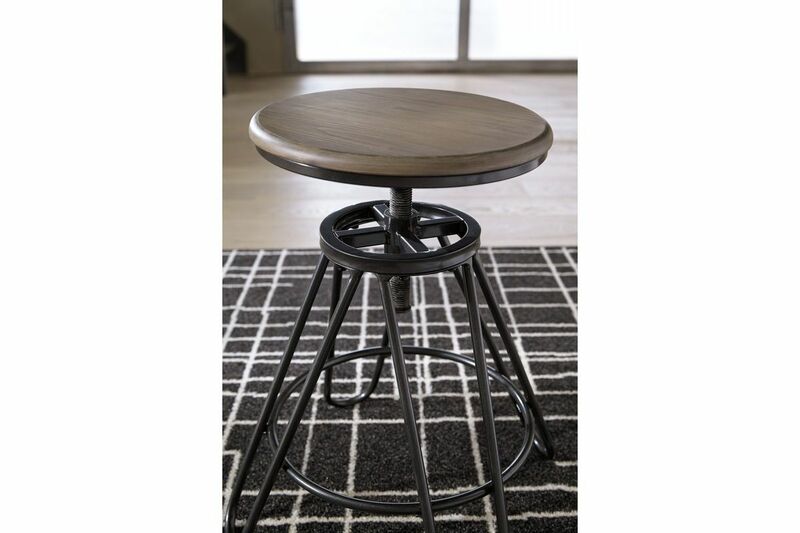 Both the swivel table and stools with distinctive looped metal bases adjust from counter height to standard height, making for double serving of cool.